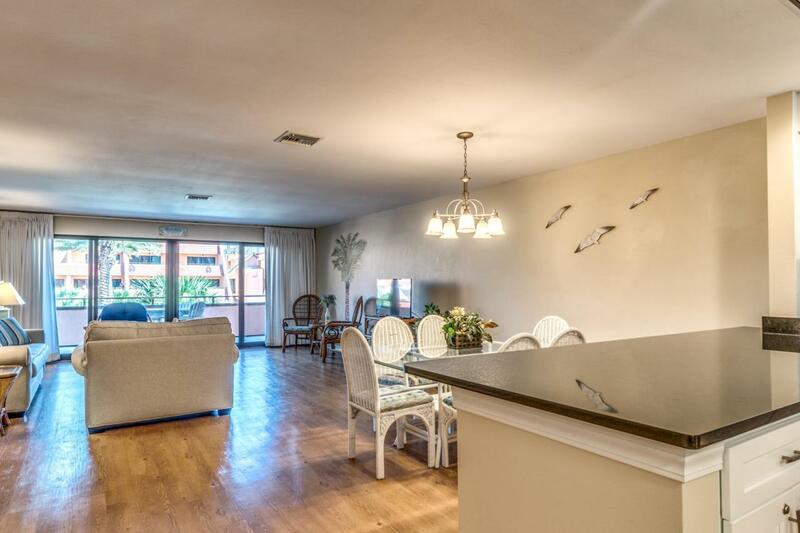 Stunning views will greet you from this recently updated 3BR/3.5BA condo on Holiday Isle in Destin, FL. The completely updated kitchen with beautiful new granite countertops, new cabinetry, & stainless appliances should be enough to put this condo at the top of your list. The first floor is home to the newly renovated kitchen, 1/2 bath and very large open living/dining area that leads you out to just one of the spacious balconies with great views. The second floor features a large master bedroom with private bath and balcony overlooking the pool and even a view of the Gulf. Additional bedroom with private bath is also on the second floor. The 3rd floor features a large open bedroom with its own private bath and a wall of windows to showcase the beautiful views.